The definition of “Pet therapy” is now widespread but most people don’t know that it dates back to the 60’s, when the psychiatrist Boris Levinson used it in its book “The dog as co-therapist”, narrating his experience of dogs that assisted interventions on autistic children. The first medical intervention with animals dates back to the late 18th century. Recreational interventions aimed at improving the quality of life of particular subjects. In this case, there is no exquisitely therapeutic goal. This branch aims at increasing capabilities such as linguistic, mnemonic, nonverbal communication, mental representation and learning. These treatments are evaluated on well-defined goals. Therapeutic activities that are integrated with the usual clinical methods and are aimed at improving health in specific areas or functions. These therapies involve physical, mental, emotional and behavioral fields. Collectively, these aspects are called zoo anthropology: a perspective based on the philosophy that “the animal must be considered as a different being, hence respected as a person just like in a relationship between partners”. The value of this relationship (and not the value of the “performance”) represents the real active ingredient of the therapy. While the dog is obviously the most suited, there are also a number of other animals used in pet therapy like cats, rabbits, donkeys, parrots, etc. Separate mention for the horse, which counts as a specific discipline: hippo therapy. 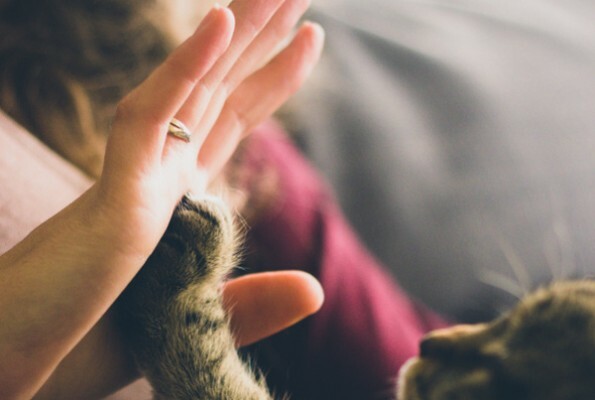 Petting an animal calms the heartbeat and reduces blood pressure but also conveys various other benefits, from psychological ones (positive effect on motivation, self-esteem, mental balance) to relational ones (social integration, attachment, self-control). It also increases body awareness. Adopting a pet is something that can improve the life of any person, but the activities of pet therapy can also help people affected by various issues: relationship difficulties, developmental disorders, physical disabilities, language impairments, low vision, deafness, depression, terminal illness… there is no age limit for activities with animals: everyone can joyfully interact with a pet, from early childhood to old age. If you love animals and want to help people in need, you can attend a training with a recognized association or in any Animal-Protection Institute. Recently, a State-Regions agreement to establish standard rules for zooanthropology activities has been approved. Training is required to learn how to respect the operational protocols, patients, and animals.